The winter is over and spring is on our doorstep – with it, a new version of VIP Spades is warranted. We’re reading your feedback and many of the changes are based on it – keep the feedback coming and help us build a better app for the spades community to enjoy! If you want to be heard, simply email us at support@vipspades.com and we’ll reply! The most requested change is live – we’ve removed the winter theme! The visuals of the game are back to their original selves with the amazing card physics and HD quality everyone loves! VIP Spades will continue to be the most up-to date game that utilises cutting edge technologies on all platforms! We’ve added another one of the most requested login options – Google! If you are reluctant to log in with Facebook (we do not post anything while you’re not looking) or the slow and painful email registration, this option is for you! Google accounts get the same welcome bonuses. Anyone can link their existing account with the google login – simply click on your profile and scroll to the bottom. Click the Google Connect option and you’ll be asked to give permissions. When you do, you will be able to log in with a click of a button – the Log in with Google button! A few people have issues changing their avatar pictures, so we made it easier! The image below explains the steps you need to take to change your avatar. From left to right – Click on your gallery, then click change avatar – you’ll be taken to the edit window. From the edit windows, click Edit Avatar then pick your new avatar. Lastly – click Save Changes and your profile picture will be changed! 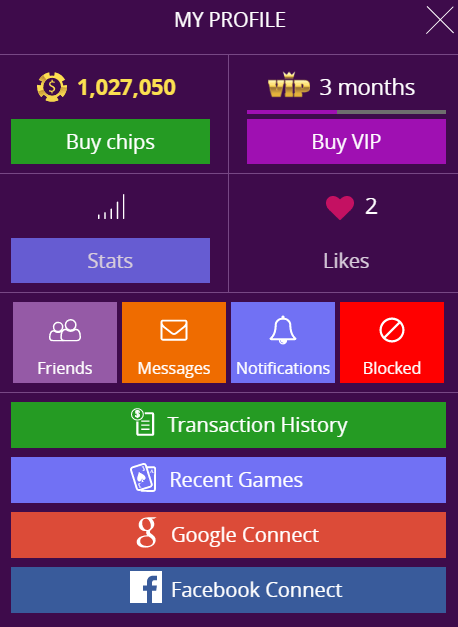 VIP Spades will run better than ever on all devices – new and older alike! We’ve made a number improvements under the hood and we would like to kindly ask you to share your feedback about the update – either email us on our support email or contact us directly on any of the major social media. 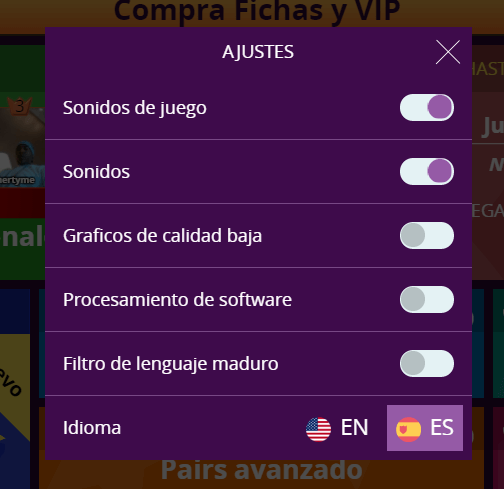 VIP Spades is now available in Spanish! Enjoy your favourite game now in Spanish – open the side menu, click settings and chose ES!